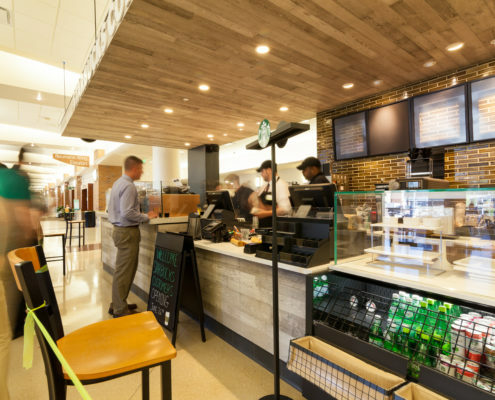 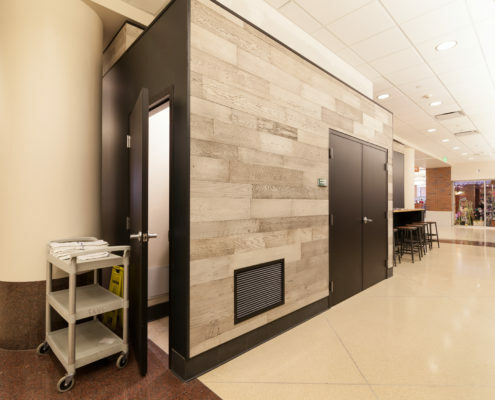 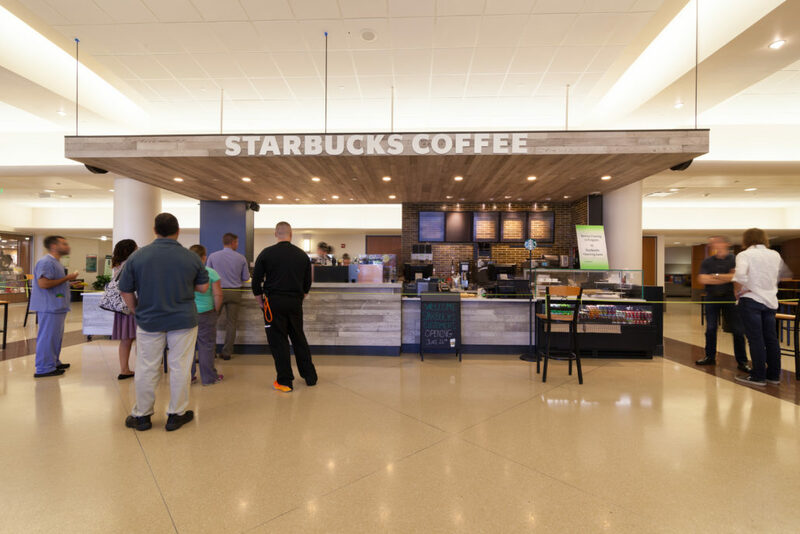 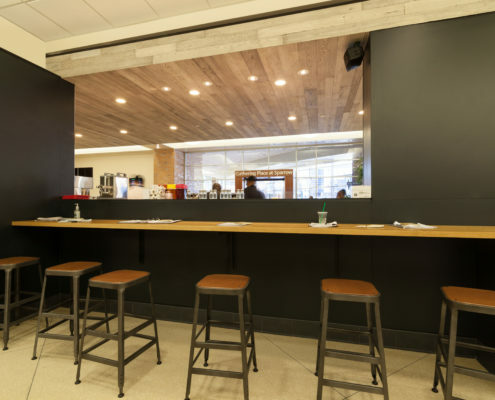 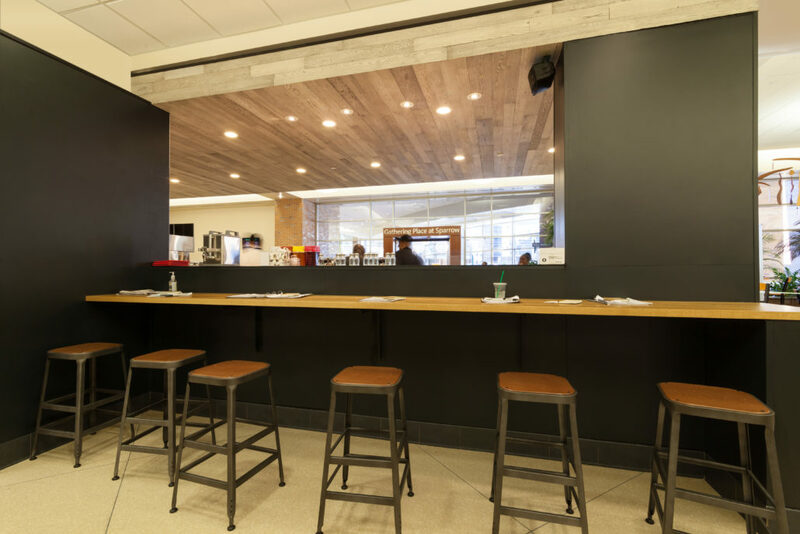 The Starbucks Cafe complements Sparrow Health System’s recent renovation to its dining area, the Gathering Place, another successful Clark project. 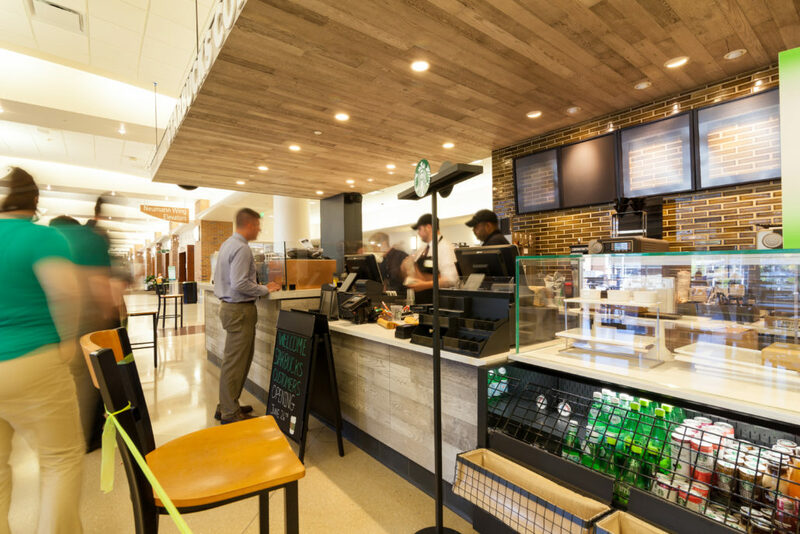 The scope of work for the Starbucks project included demolition of the existing Sparrow cafe kiosk in the first floor lobby and construction of a new Starbucks franchise in the heart of sparrow’s main lobby. 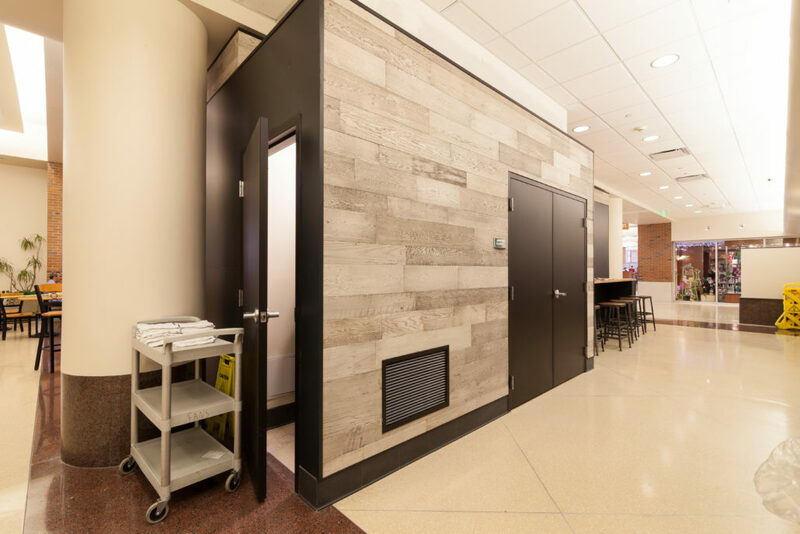 The proximity of this project had several components to it that required careful coordination with various hospital departments. 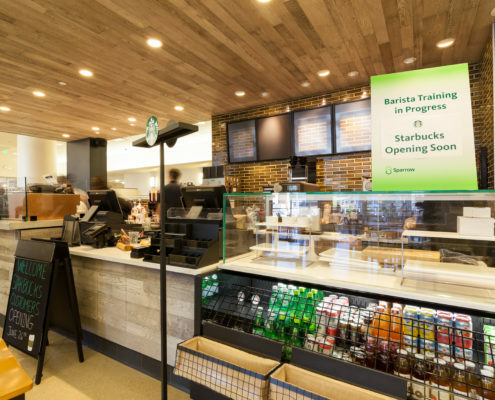 The water line feeding the existing kiosk had to be up-sized to meet the required capacity to feed the new Starbucks equipment. 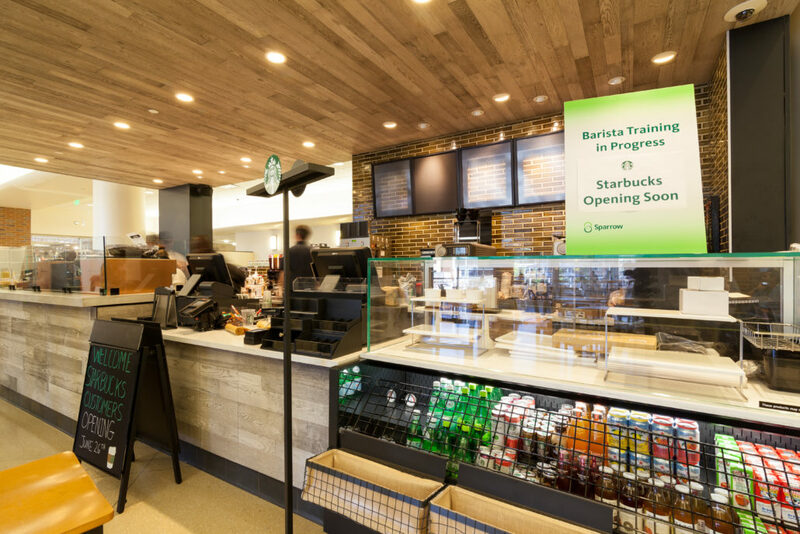 Due to it’s location running from the existing toilet rooms, through the Gift Shop, through the Atrium, and to the new kiosk, all work had to be completed on nights. 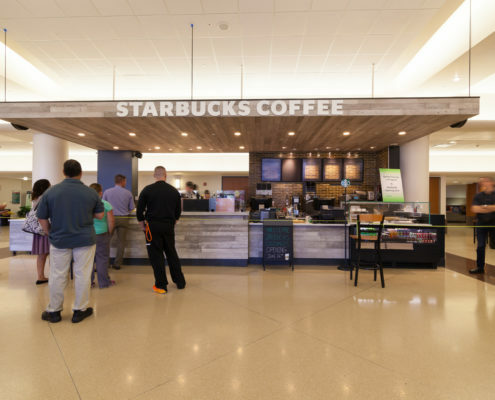 Several new plumbing and electrical tie-ins were also required in the lower level Post-Op Waiting Room (directly below the new kiosk) which occurred over several weekends when the area was closed to the public.